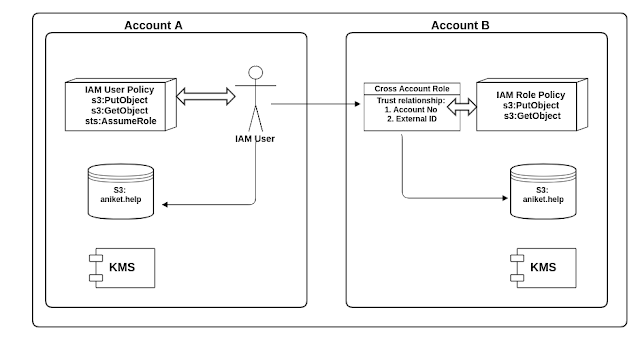 This post I will try to explain and demo how cross account access work with assume Role. This is way more secure and flexible that approach 1 (and generic too - approach 1 was specific to S3). This post assumes you have required setup and pre requisite knowledge mentioned in part 1. If you have not already I would highly recommend read PART1 first. So we are going to try following. We already have IAM user in account A. And we will try accessing S3 bucket of Account B using assume cross account role. NOTE : Remove bucket policy on the bucket if you have set any while following PART 1 of this post. 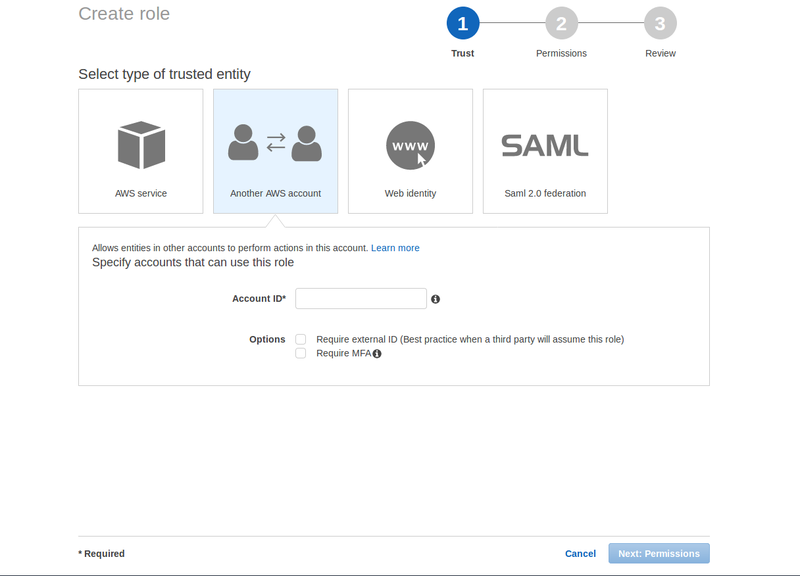 This will basically allow Account A IAM user to call assume role or any role of any other account. Before we start with the code lets configure a cross account role in Account B. Do not select any policies for now. We will come to that later. Just review , name your role and create it. NOTE : If you need help creating policies you can go to - AWS policy generator and generate policy from there. NOTE : The reason to do this is we did not want to give our cross account role entire s3 access or even access to other bucket than aniket.help bucket. 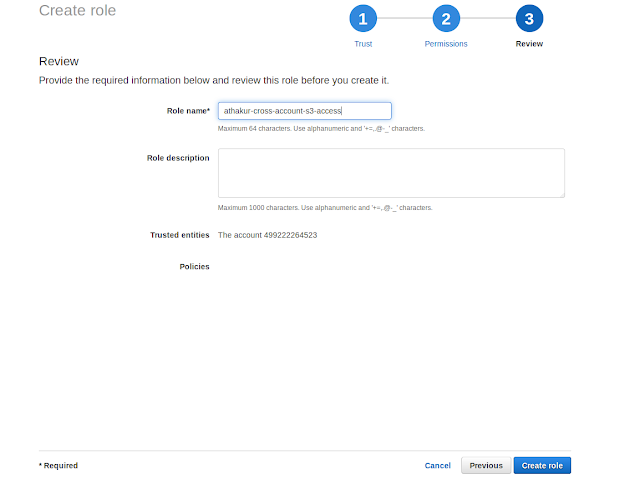 Now that our cross account role is setup lets go to the code where we can call assume role and access our S3 bucket. NOTE : You can try different scenarios here like try changing the external id, or not using external ID at all, or playing around with policies. In all other cases you should get not authorized. Read File from S3 bucket. Content : This is from cross account! We have credentials of IAM user of Account A. We also use the external ID to validate Account A user is the authorized to make this call. When assumeRole call is made 1st thing that is checked is wherther this user has access to make this assume call. Since we had added this in the inline policy if IAM user of account A it goes through. Next check is whether assumeRole is successful. 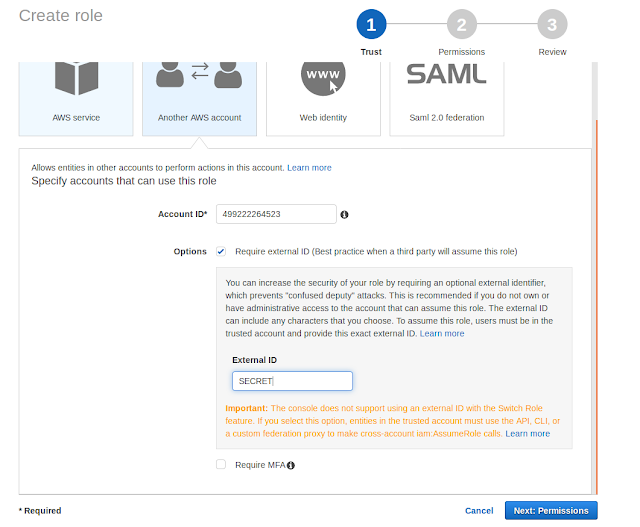 This checks if user calling this assumeRole is of same account configured in cross account role of Account B and that same external ID is used. Once these checks are cleared User from Account A will get temporary credentials corresponding to the role. Now when these calls are made it is checked whether the role has access to GET/PUT of S3. if not access is denied. 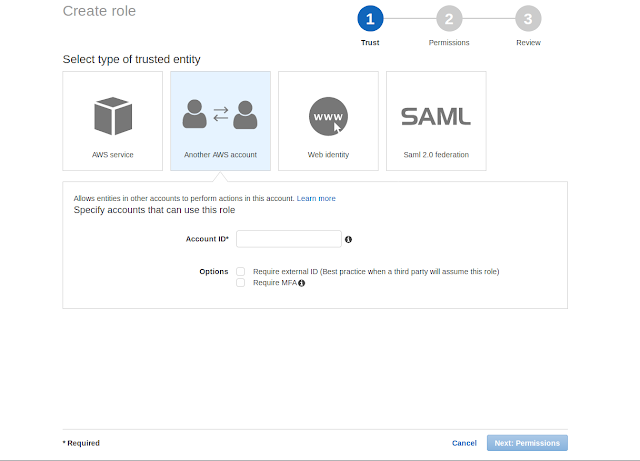 Since we explicitly added these policies for our cross account role this step is also accepted. And finally we have access to S3 GET/PUT. But note due to our role policy anyone assuming this role will have access to GET/PUT of aniket.help bucket only. No other AWS service or no other bucket of S3. This is why roles and policies are so important. Same goes with IAM user policy of user in Account A. It can only do sts assumerole call and has access to S3. Nothing else. NOTE : Good thing about this approach is Account B can give access to KMS as well to the role and you can have a KMS based encryption as well (Which was not possible with previous approach). Again this is just a simplistic overview. All the things that happen in background are listed in workflow section above.